Breakfast is included in the price of the accomodation. Dinner can be ordered during breakfast. 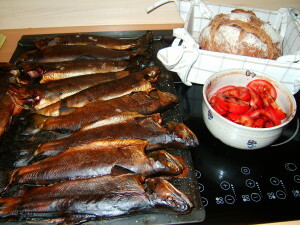 There are usualy two dishes to choose each day - one by J.Oliver and one from typical old czech quisine. The dish is served on big plates for 2 to 4 people. 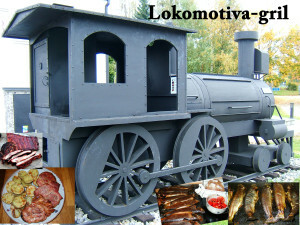 Twice or three times a week we start our steam locomotive and grill or smoke our specialities. Besides, you can always order our MAXI Burger Black Angus (200g meat) or pancakes.